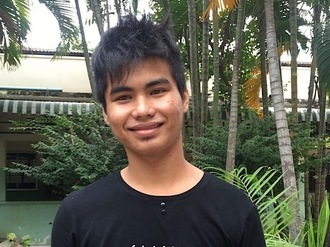 Rafael joined Watsi on September 29th, 2015. Three years ago, Rafael became the 1518th member to automatically support a new Watsi patient every month. Since then, 3,579 more people have become monthly donors! Rafael's most recent donation traveled 10,000 miles to support U Kyaw, a man from Burma, to fund eye surgery. Rafael has funded healthcare for 43 patients in 8 countries. U Kyaw is a 44-year-old man from Burma. He lives with his his wife, three daughters, and a grandson in Karen State, Burma. U Kyaw is a soldier who lost his left leg when he stepped on a land mind five years ago. U Kyaw is unable to see in both his eyes. The doctor told him that he cannot restore vision in his right eye but he can help him with his left eye. Our medical partner, Burma Children Medical Fund, is requesting $1,500 to fund lens replacement surgery for U Kyaw. On March 26, doctors will perform a lens replacement, during which they will remove U Kyaw's natural lenses and replace them with an intraocular lens implant. After recovery, he will be able to see clearly. Now, he needs help to fund this $1,500 procedure. Mzee is a farmer with a wife and six kids from Malawi. He enjoys fishing and chatting with his friends in his free time. For four months, Mzee has been experiencing pain and urinary difficulty. These symptoms are caused by an enlarged prostate, a condition called benign prostatic hyperplasia. He needs to undergo a prostate resection surgery, a procedure in which surgeons will remove part of the enlarged gland. 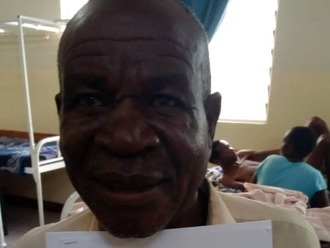 Our medical partner, World Altering Medicine, is requesting $733 to fund Mzee's surgery. On November 1, he will undergo prostate surgery at Nkhoma Hospital, our medical partner's care center. The requested money pays for supplies, medications, and two weeks of hospital stay. He is looking forward to relief from pain. He is eager to complete the operation and begin recovery. He says, "I am thanking God for this program which will help me get better and be able to work again. Please continue to help others like me in this way. Thank you!" Jeanslyn is a student from Haiti. He lives with his parents and brother in a small fishing village on the coast of northern Haiti. He enjoys going to school and helping his family around the house. Jeanslyn has a cardiac condition called Tetralogy of Fallot with tricuspid atresia. This is a fairly complex heart condition, including an absence of one of the heart's four valves, a muscular blockage of a second valve, and a hole between two chambers of the heart. To determine if Jeanslyn's condition is operable, he must undergo a diagnostic cardiac catheterization, a procedure that is not available in Haiti. During the procedure, a catheter probe will be inserted into his heart to perform the necessary measurements and tests. On December 17, he will travel to the Dominican Republic to receive the scan at our medical partner's care center, Clinica Corominas. 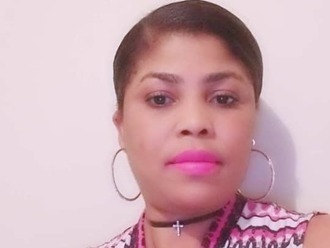 Our medical partner, Haiti Cardiac Alliance, is asking for $1,500 to cover the costs of Jeanslyn's travel expenses, catheterization procedure, and lab work. His mother says, "We are very happy that our son can finally have this test, and are praying for a good result!" Yee (BB) is a ten-month-old baby boy from Burma. He lives with his family in a village in Karen State. His grandfather and father are subsistence farmers who grow rice. The family also raises chickens and pigs, which they usually sell when they need money. Yee (BB) was recently diagnosed with hydrocephalus, which has caused fluid to build up in his brain. Without immediate surgery to alleviate the intracranial pressure that the excess fluid is causing, he is at risk of developing severe, potentially fatal medical complications. 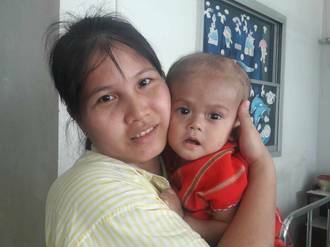 Our medical partner, Burma Children Medical Fund, is requesting $1,500 to fund the insertion of a ventriculoperitoneal shunt for Yee (BB), which will drain the fluid that has accumulated in his brain. The procedure is scheduled to take place on October 30, and, once completed, will greatly improve Yee (BB)'s quality of life. Yee (BB)'s mother says, "I am far from my home to take care of my son (Yee (BB) ) more than two months now. I miss home but I am worry for my son and sad to see he is suffering." Ann is a young girl from Kenya. She is the youngest of two children. She was diagnosed with cerebral palsy after birth. She also has clubfoot of her right foot. Clubfoot is a condition in which the foot is twisted out of shape. This causes difficulty walking and even wearing shoes. Fortunately, Ann traveled to visit our medical partner's care center, AIC Cure International Hospital. There, surgeons will perform clubfoot repair surgery on October 3. Our medical partner, African Mission Healthcare Foundation, is requesting $1,224 to fund Ann's clubfoot repair. After treatment, she will be able to walk easily. "If you can help my granddaughter undergo for surgery, I will be very grateful and I will praise God for the help,” Ann’s grandmother says. Chamroeurn is a rice farmer from Cambodia. He has one sister and two brothers. He likes to watch TV in his free time. Five months ago, he was in a motor vehicle accident that caused paralysis of his left arm and hand. He has been diagnosed with a brachial plexus injury on his left side. The brachial plexus is a nerve network that transmits signals from the spine to the shoulder, arm, and hand. Injuries to this nerve network can result in loss of function and sensation. He cannot move his arm and he has no sensation in his left hand. 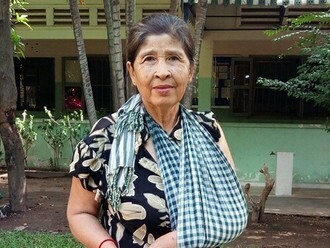 Chamroeurn traveled to our medical partner's care center to receive treatment. On July 23, he will undergo a brachial plexus repair surgery. After recovery, he will be able to use his arm again. 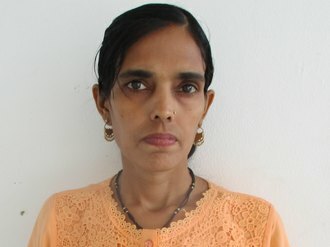 Our medical partner, Children's Surgical Centre, is requesting $637 to fund this procedure. He says, "I hope I am better after the operation and I can move my arm and have regained sensation in my hand." Kasimi is a man from Kenya. He works on a plantation and is a father of five children. His wife also works as a laborer. Recently, Kasimi sustained a spinal injury. Without treatment, it could result in total paralysis. Currently, he is wearing a brace for support. Fortunately, Kasimi is scheduled to undergo a spinal fusion surgery at our medical partner's care center on June 5. He needs help raising $1,500 to fund the treatment. Kasimi says, “I wish to be treated and resume my fatherly duties."